Online and social media have become indispensible tools for journalists, but you still have to know how to find and tell a great story. Combining theory and practice, Online Journalism: The Essential Guide will take students through the classic skills of investigating, writing and reporting as they master the new environments of mobile, on-demand, social, participatory and entrepreneurial journalism. Students will also develop must-have skills in app development for smartphones and tablets, as well as techniques in podcast, blog and news website production. 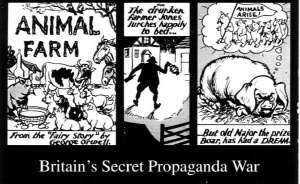 Britain’s Secret Cold War Propaganda co-authored with James Oliver, published Oct 1998 by Sutton Pub Ltd. Such famous names as George Orwell, Denis Healey, Stephen Spender, Bertrand Russell and Guy Burgess helped or backed the work of IRD. Parliament, had it known of the true purpose of IRD’s existence, may well have rejected an anti-Communist propaganda offensive, but it was simply not informed. Using a vast array of techniques to influence world and domestic opinion IRD’s activities mirrored and complemented similar CIA covert propaganda operations. 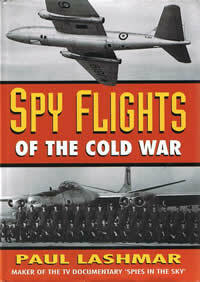 Spy flights of the Cold War published Sept 1996 by Sutton Pub Ltd. Available in paperback and a wide range of translations. Here for the first time is the full story of the Cold War’s secret but very real war in which hundreds of combatants lost their lives. Long before Gary Powers’ U-2 spy plane was shot down over the USSR in 1960, an undeclared war was being fought in the stratosphere. 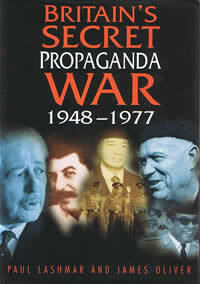 This was the aerial espionage war between the West and the Soviet Union. Author Paul Lashmar’s research has uncovered top secret missions flown by US Air Force and Royal Air Force crews, deep into the Soviet Union. He has interviewed USAF and RAF participants, and the Red Air Force pilots that tried, sometimes successfully, to shoot them down. He has also discovered evidence of an alarming 1950s USAF plan to use these spy flights to provoke a nuclear World War Three, which would have wiped the Soviet union and China from the face of the earth. New evidence, both documentary and interview, from the former Soviet Union reveals the full extent of political tension created by the spy plane war. From 1950 over 40 western aircraft were shot down and hundreds of air force officer died or remain missing. The book documents the hunt today for these Cold War MIAs (missing in action) Spy Flights of the Cold War represents an important contribution to our knowledge of the deadly espionage war. 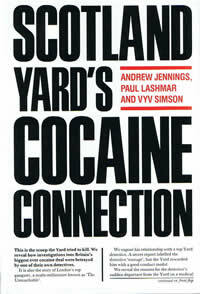 Scotland Yard’s Cocaine Connection with Andrew Jennings and Vyv Simson. Published by Jonathan Cape. Hardback June 1990. Paperback 1991. 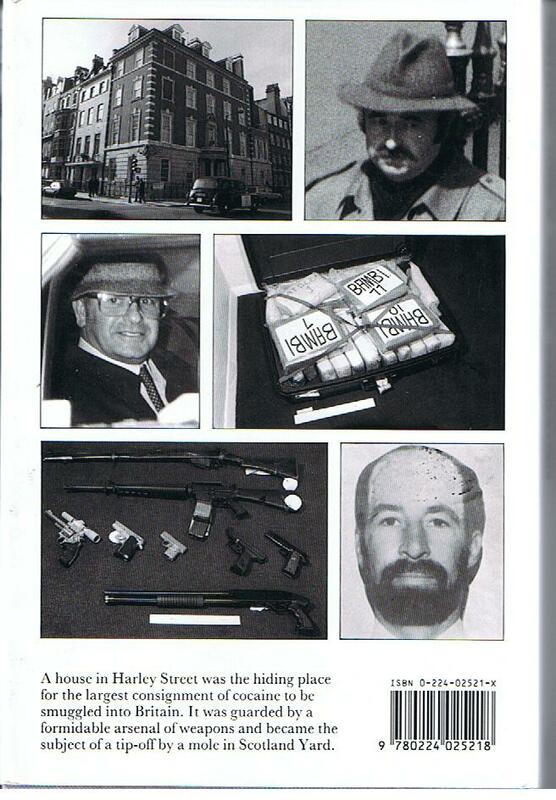 Siege – Seven Days at the Iranian Embassy – credited researcher on Observer writing team. 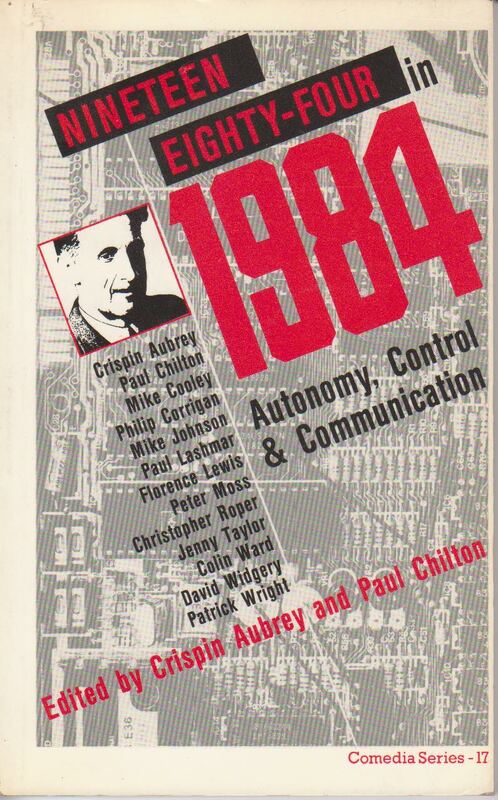 Published by Macmillan (1980). “Hill and Lashmar are obviously enthusiastic about the possibilities opened up by online journalism, but level-headed enough to advise against blind ‘techno-optimism’. The importance of the institutional context of any journalistic practice—and the impact on accuracy and quality of the job cuts that have come alongside technological change is emphasised early on. He especially commented: “The chapter on entrepreneurial journalism is excellent, treating entrepreneurialism as something that can take place within permanent employment as well as in self-employment, with plenty of examples from outside traditional media.